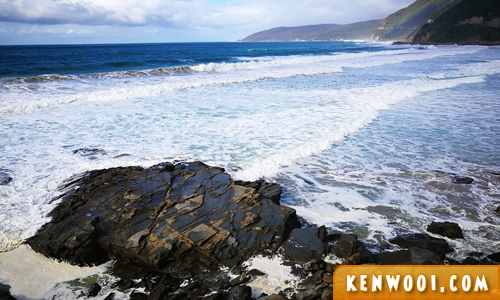 The main highlight of our trip to Melbourne was definitely the 1-Day Road Trip to Great Ocean Road. 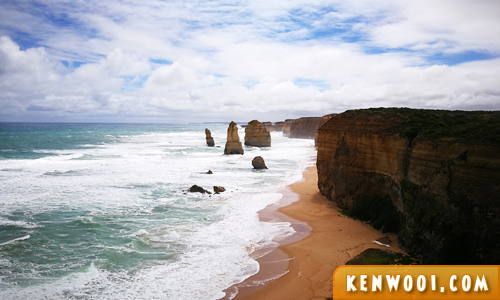 In summary, it was a 7.5 hours drive along the Great Ocean Road covering a distance of 517km… all for the magnificent view of The Twelve Apostles. 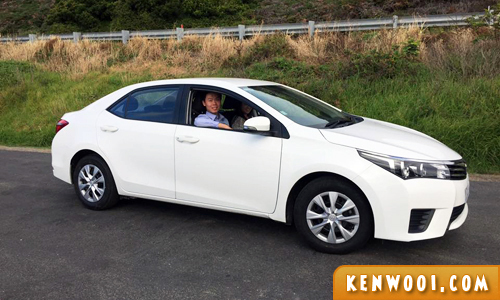 Now this road trip wasn’t an impromptu one where we just woke up one morning and decided to drive along the coastline. 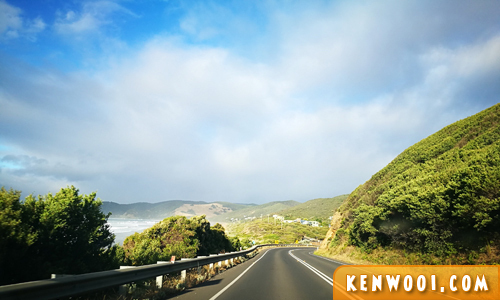 This road trip has a pre-planned itinerary with 4 main destinations, distance from each locations, and driving time estimations from Google Maps and online articles. 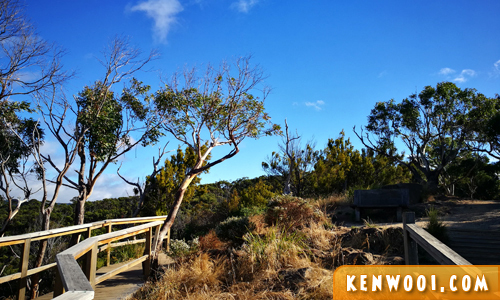 Once the plan was set, we were ready for our Australian outback adventure! Yes, there were options to follow a paid Great Ocean Road tour available online, roughly about AUD100 (RM350) per person, but I believe it’s better to be in control of our own travel arrangements. Anyway, the day started as early as 6am when we departed from our apartment and headed directly to our first destination, Lorne. The drive took 2 hours. I didn’t know what to expect, to be honest. It was my time there and was only able to experience along the way… and my, we were surprisingly amazed throughout the drive. The view of the ocean was beautiful, coupled with clear blue sky. We couldn’t have asked for more… it was love at first sight! 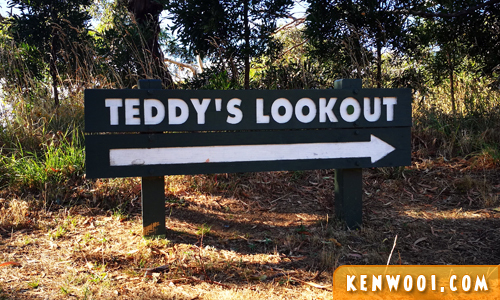 After 2 hours, we arrived at Lorne and then headed to Teddy’s Viewpoint. Woah! 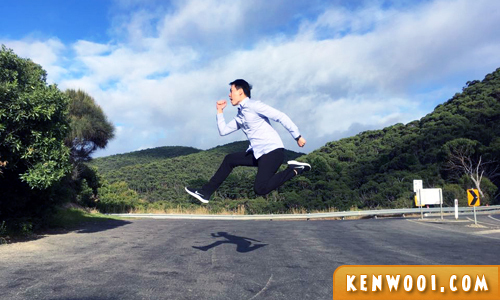 The cool breeze, calm waves, and clear blue sky were a perfect combination for a breathtaking scenery! I was literally standing in awe. 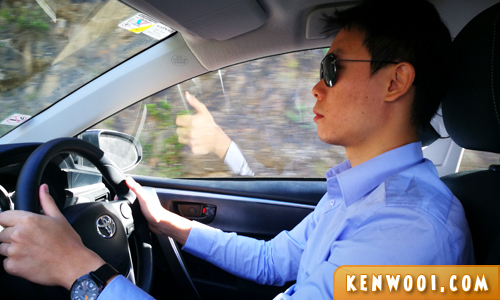 After some photos, we continued on with another 1 hour drive to Apollo Bay. During the journey, we made a couple of quick stops for more stunning views along the way. 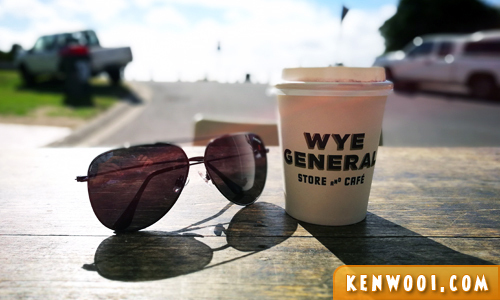 Once we arrived at Apollo Bay, we stopped at a rest area along the road. Got a cuppa coffee to replenish my energy. 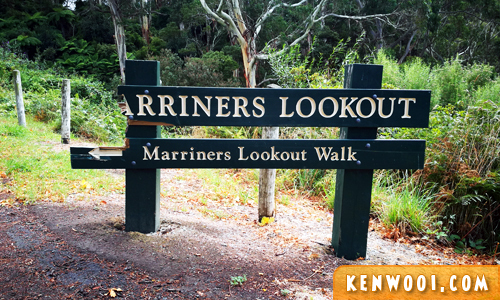 We then continued on to Marriners Lookout, the next lookout point on our itinerary. It started raining heavily after we parked, and that sort of prevented us from reaching the peak of the lookout point. In fact, we were thinking of forgoing the view and head back to the car. But after about 10 minutes (of contemplation), we rain suddenly disappeared (see, cranky weather) and we immediately hiked up to the peak. 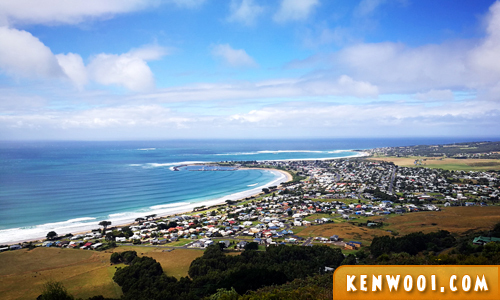 Another spectacular scenery of the ocean with the concentrated town of Apollo Bay. Just spectacular! 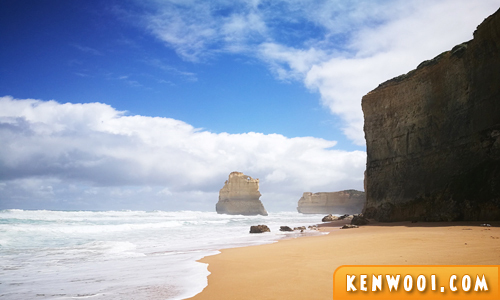 After that, we continued our journey to our main destination… The Twelve Apostles! After 1.5 hours, our first stop was Gibson Steps. 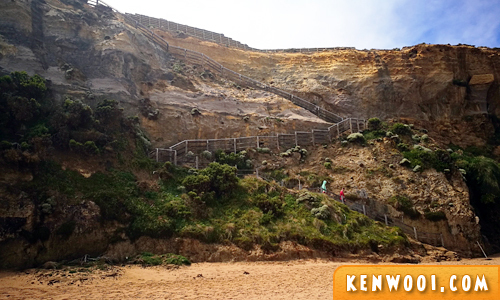 The Gibson Steps refer to the steep staircase leading down to the beach. It was our first glimpse of one of the limestones of the shore. We then drove to the Twelve Apostles Visitor Facility, which is about a 5 minutes drive from Gibson Steps. Once at the visitor centre, the walk to the viewing point took about 10 minutes. Simply amazing! The weather was rather cloudy when we arrived, but then the sky started to clear and spots of blue sky can be seen. After spending about an hour admiring the view, we began our journey back to Melbourne. 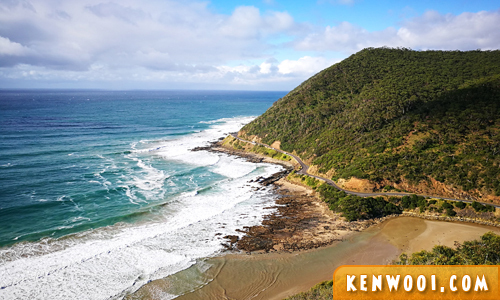 On the way back, we used the inner roads instead of the coastal roads… hence a shorter 3 hours drive (back to Melbourne) instead of the 4.5 hours drive along the Great Ocean Road. 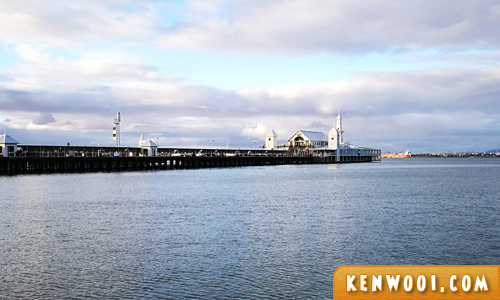 The returning journey’s first stop, a 2 hours drive via Colac from the Twelve Apostles, brought us to Geelong, a port city close to Melbourne. We had dinner at Sailors’ Rest. 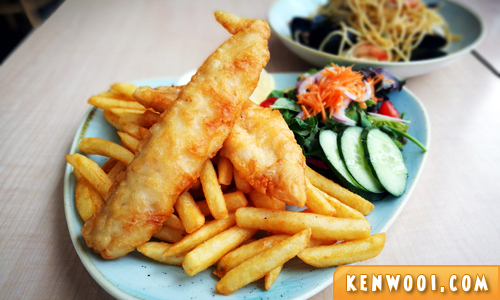 Pretty delicious but I think the fish and chips in London tastes much better! By the way, we ended up changing to our flip flops because our shoes got wet at the beach at Gibson Steps. The final drive from Geelong to Melbourne took 1 hour, and we arrived at our apartment at about 8pm. A good rest was needed! Frankly speaking, it was tiring… especially for me as I practically drove 7.5 hours in a single day. But hey, the experience was totally worth it!